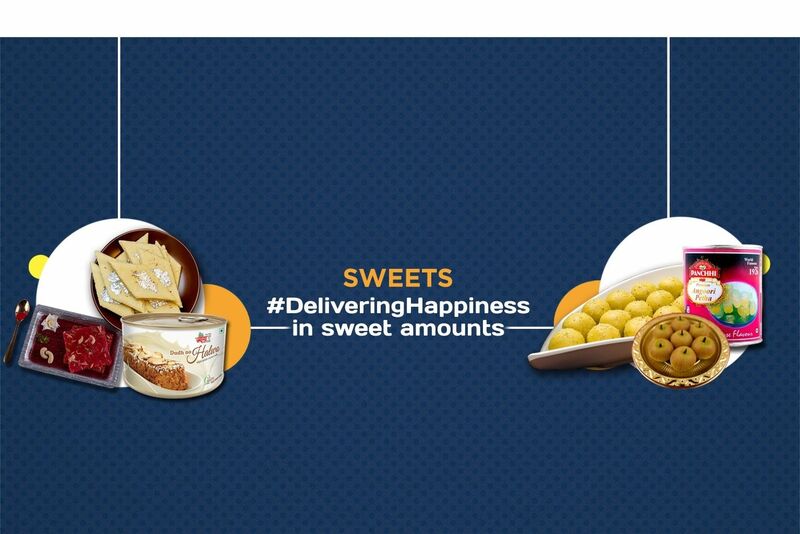 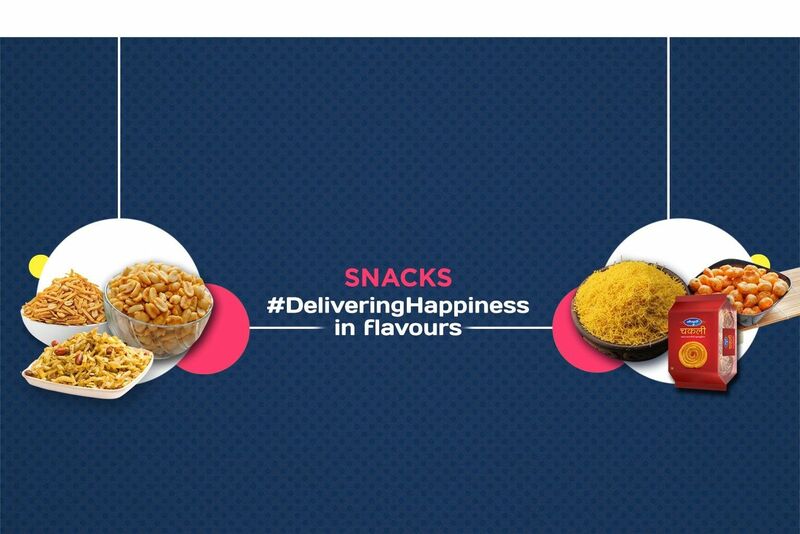 Buy Fish Fry Masala of Karma Foods from Margao online | Authentic Indian Sweet , Savories and Delicacies from the place they originate by Moipot. 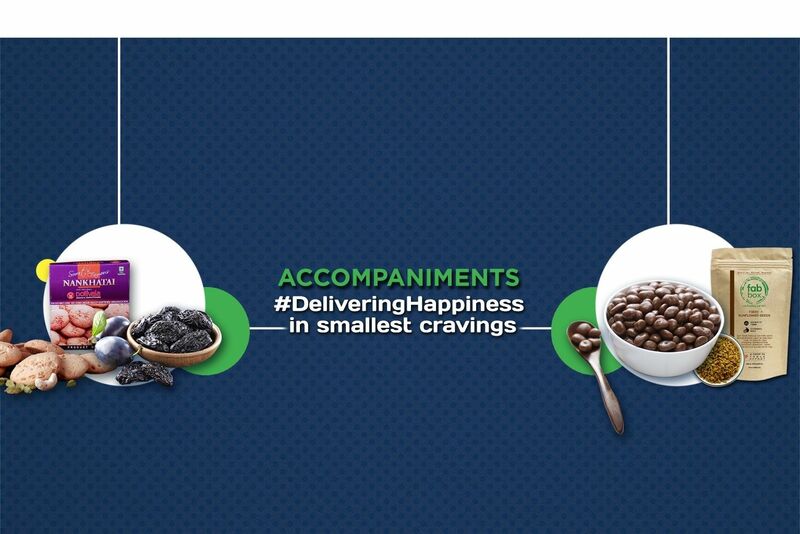 Goa and fish cuisines go hand in hand. 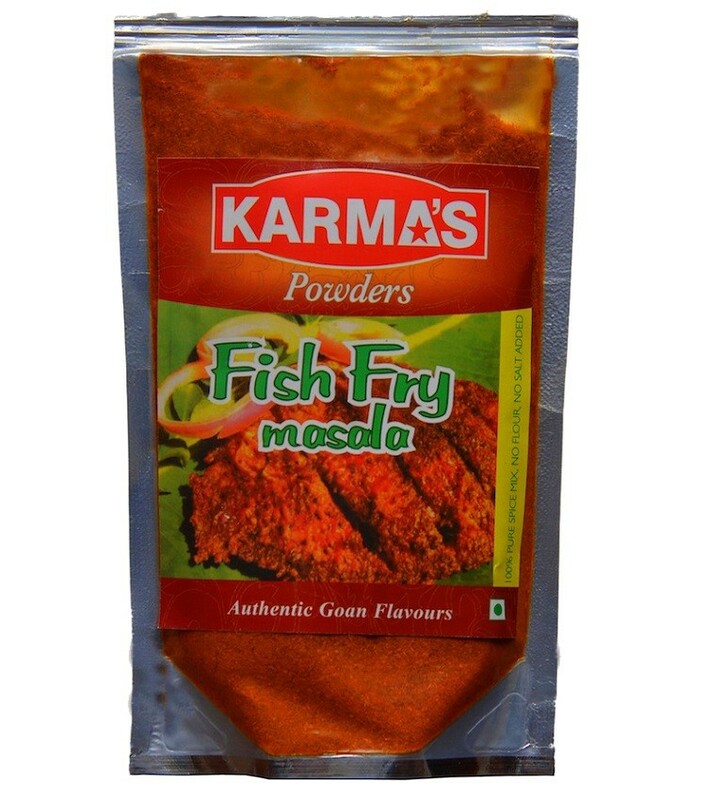 If you love to bring traditional Goan taste to your table, try this yummy fish fry masala powder which is extremely flavorful with the basic taste of fish intact. 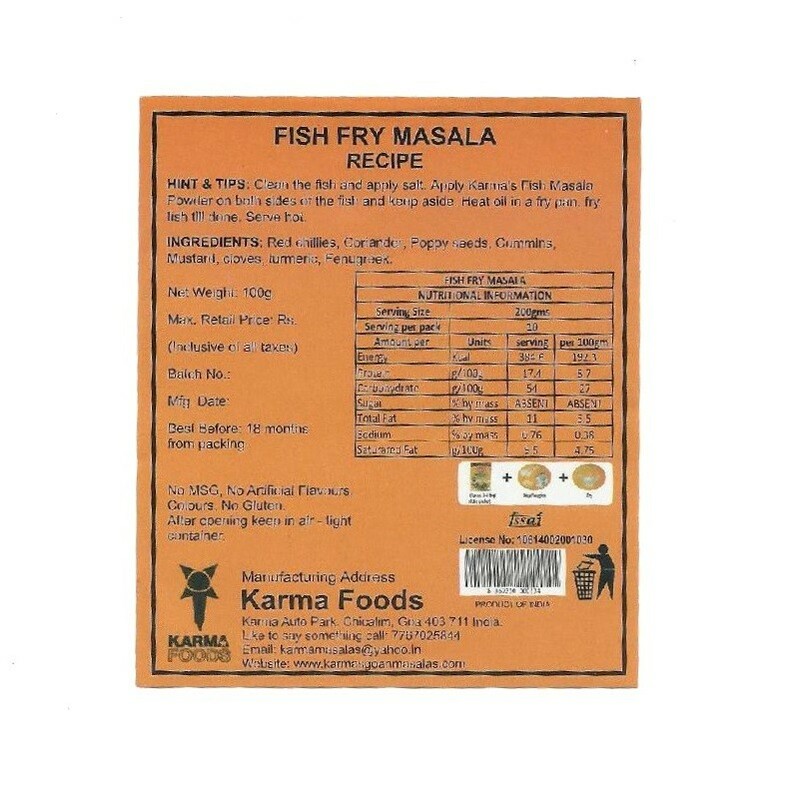 Make delectable fish fry or any fish dish using fish fry masala by Karma Foods and trust us, your fish will melt in your mouth before you chew it!